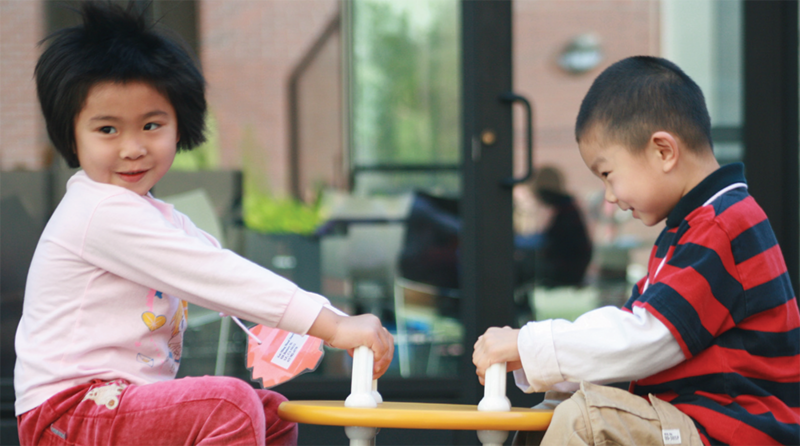 This “Building Pre-K” report from LIIF examines efforts aimed at financing quality preschool facilities at scale and highlights the potential for increasing the impact of collaborations among philanthropy, community development financiers and the public sector. 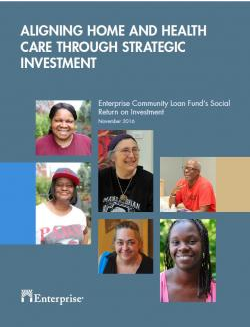 This crash course video from the Opportunity Finance Network explores what community development financial institutions are doing around the country. 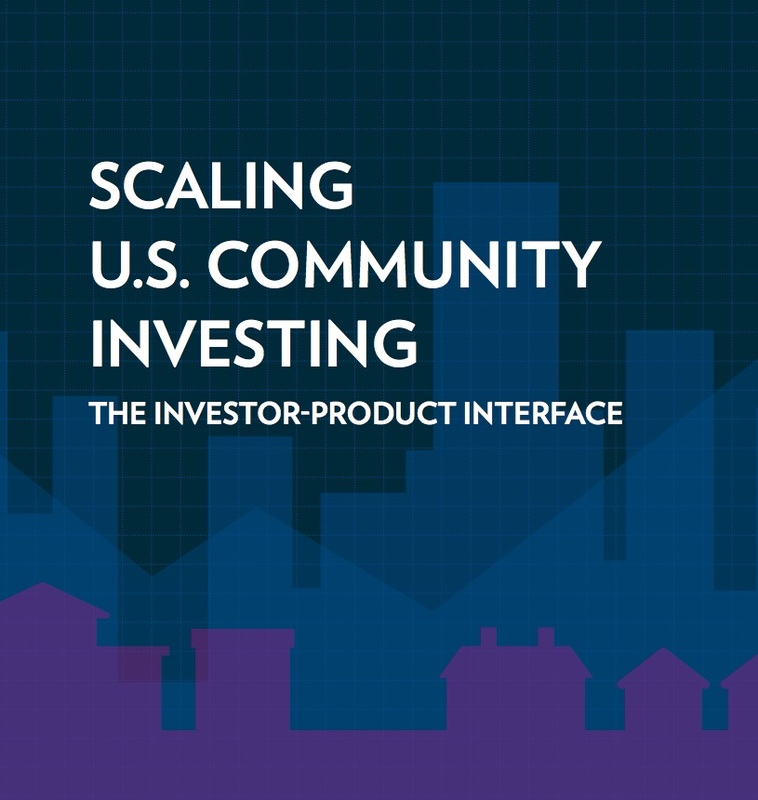 Watch the video for success stories from South Dakota, California, New York and others. 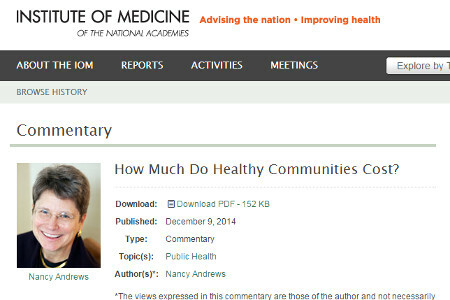 In a commentary for the Institute of Medicine, LIIF’s Nancy Andrews explores how a $100 billion investment in affordable housing and early education can create healthier communities. 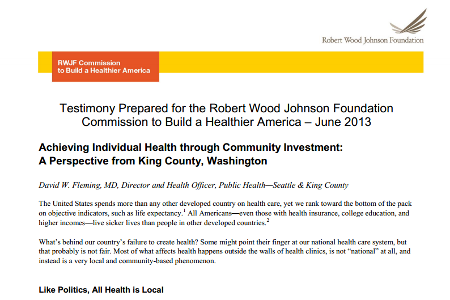 Testimony by David Fleming, former Director and Health Officer of public health in Seattle & King County, Washington, for the Robert Wood Johnson Foundation Commission to Build a Healthier America. 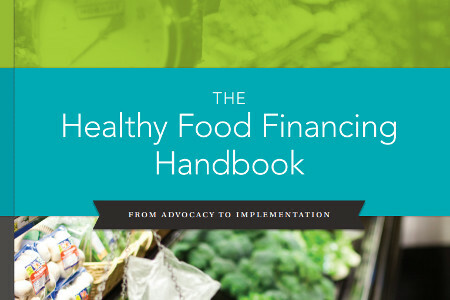 This report by The Food Trust and The Reinvestment Fund is intended to be a resource for advocates at public health and community and economic development organizations working to increase the availability of nutritious foods and revitalize their neighborhoods. 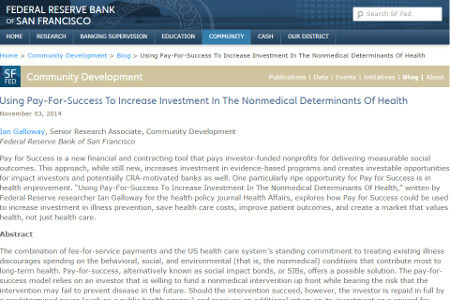 Pay for success can save health care costs, improve patient outcomes and create a market that values health, not just health care. 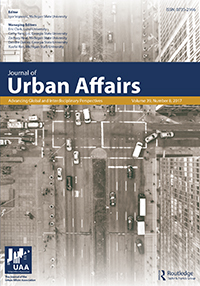 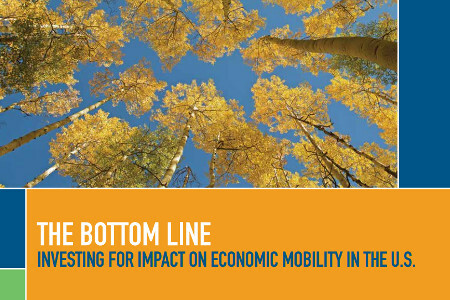 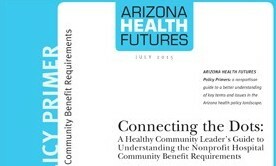 What are some valuable lessons learned about investing in healthy community change? 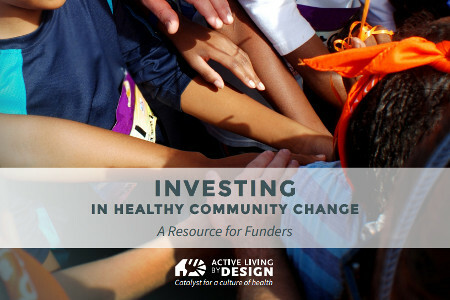 Active Living By Design (ALBD) developed this resource for funders as a way of exploring that question. 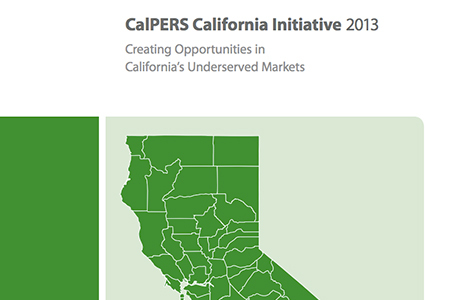 In 2001, CalPERS established the California Initiative to invest private equity in traditionally underserved markets, with the objective of generating attractive financial returns. 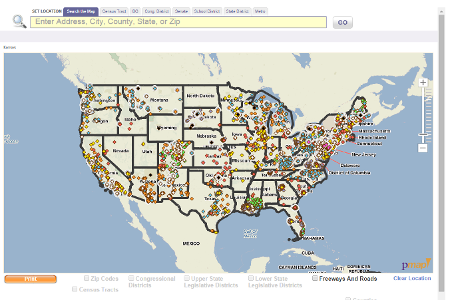 The CDFI Coverage Map is a tool that measures community development finance institution coverage across the United States.